Is Your Billing System Ready to Process October SNF Medicare Part A claims? Do you have the new Medicare rates loaded into your billing system? PRIOR to billing any dates of service on or after October 1, 2018, you must update your billing system to handle the VBP incentive payment multiplier and QRP penalty, if applicable. There are many factors to consider including if Medicare Managed Care plan rates will be continue at the traditional levels. Do you know your facility specific VBP Incentive Payment Multiplier? 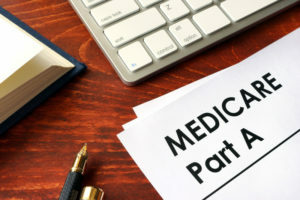 The FY 2019 Medicare rates found in the link above will not be the actual rate paid for your facility. Rates need to be adjusted by the VBP incentive payment multiplier for all facilities, except those with less than 25 Medicare Part A admissions per year. The VBP incentive payment multiplier is available for download from the CASPER reporting system and is a file with the name of “SNFVBP SNFRM xxxxx”. Your MDS coordinator should be able to access the report which contains your facility specific incentive payment multiplier value. To determine your facility specific Medicare A rate, you need to multiply the VBP incentive payment multiplier by your FY 2019 PPS rates found in the link above. How are the VBP and QRP adjustments applied? 10/1/18 Federal Medicare Rate net of wage adjustments. Apply 2% QRP penalty, if applicable, (most facilities will have no reduction). Apply VBP incentive payment multiplier. Apply 2% sequestration after reduction of coinsurance. What factors do I need to consider before updating PointClickCare (PCC)? Are “Rate Templates” in use or are rates directly entered? How is the VBP incentive payment multiplier applied to Medicare rates in PCC? If your facility is subject to the QRP penalty, how is it reflected in PCC setup? What other payers use the “Medicare Rates” template? Do any Managed Care companies pay based on a percentage of the net Medicare Rate? Will Managed Care companies base their rates on the Federal Medicare Rate or the rate adjusted for QRP and/or VBP? Will you need to set up separate Medicare rate templates for other payers? Do you need to change multi-facility setups since each facility may have a different VBP and/or QRP? 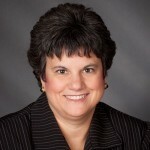 Does sequestration change any managed care rates? How does Medicare bad debt reimbursement change any Managed Care rates? Do any managed care companies blend rural and urban rates across a region? Do you need help answering the above questions? Contact your HW Healthcare Advisor for a copy of our detailed PCC setup instructions and personal assistance with your setup.